The blooms have lasted more than a week so far. The ones I’ve cut for the house perfume the room where they sit. Outside, I’m experimenting with discreet staking techniques. It’s not easy for the stems to hold up such heavy blooms. 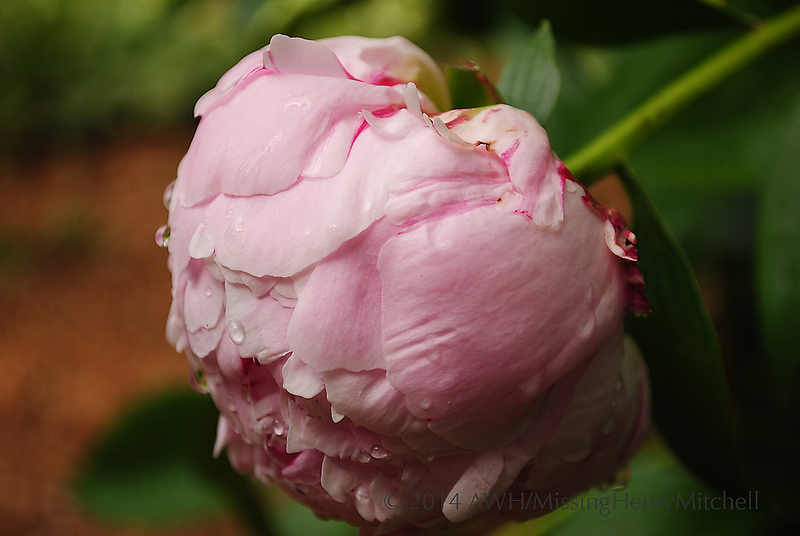 Peonies tend to like a decent winter chill, more than we typically get in Zone 7b. There is an upside to the polar vortex after all! This entry was posted in 2014, Backyard Blooms and tagged cut flowers, gardening, Peony, photography by missinghenrymitchell. Bookmark the permalink. I was going to say what an elegant lady Sarah Bernhardt is but actually, elegant is not the word, she is big and blowsy and absolutely gorgeous.